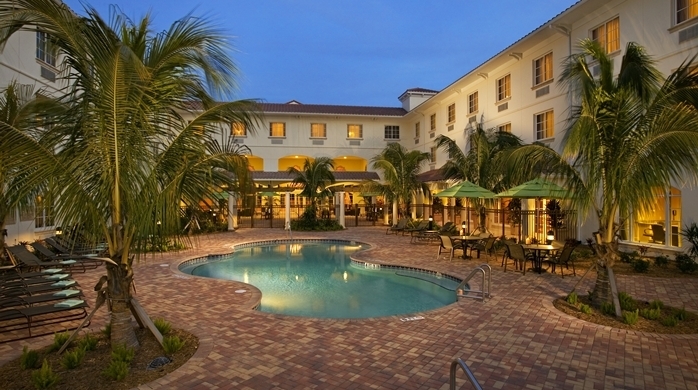 The Hilton Garden Inn at PGA Village/Port St. Lucie is located on Florida's Treasure Coast, adjacent to the PGA Village and just 15 miles from the beach and ocean activities. Golf Zoo customers can experience deluxe accommodations with high-speed wireless internet access, two telephones with data port and voicemail, microwave, refrigerator, in-room coffee and tea and a choice of one king or two queen beds. 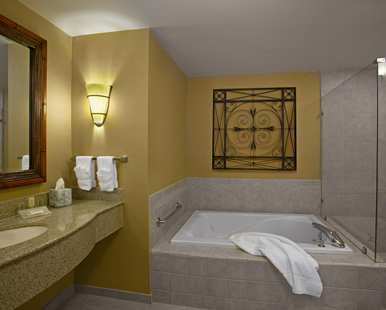 Or you may prefer to experience one of our expansive two-room king suites for additional comfort. The Hilton Garden Inn at PGA Village/Port St. Lucie hotel also features the famous Sam Snead's Restaurant where guests can enjoy a hearty breakfast, lunch and dinner. Additional amenities include a business center, fitness room and outdoor heated pool with Jacuzzi. This is a smoke-free hotel.